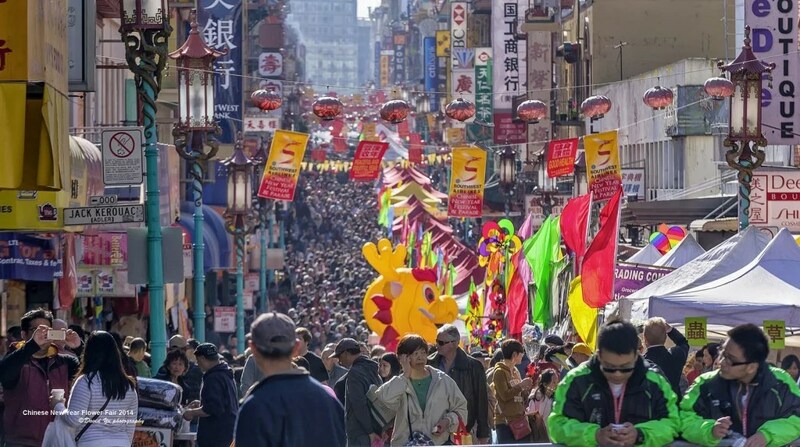 Today, February 4th, is a festive time for Chinese communities around the world. It is New Year’s Eve according to the Chinese calendar. Homes have been swept, bright red decorations hung, special delicacies envisioned for the evening meal or restaurant visit, men dressed in crisply pressed shirts and pants, women in elaborate red and gold outfits, preparations for family visits are underway, children are eager to receive their “red packets” from parents and elders, usually containing money as an augur of prosperity in the new year. In short, it is a time of joy for those steeped in Chinese tradition everywhere. Everywhere except in Malaysia, that is, where the population is distinctly split among three major ethnic groups: ethnic Malays (around 57%, all Muslim by law), Chinese Malay (23%), Indian Malay (about 7%). The remainder of about 12% are constituted by a variety of aboriginal, tribal Malays. This rich diversity normally remains relatively friction-free, but this new year is an exception between the Muslim-majority ethnic Malays and the largest minority Chinese Malay. Why? Because in the Chinese calendar, where years are marked by the twelve animals of the zodiac, the new season commencing tomorrow is the Year of the Pig. For Muslims, pigs are the worst among unclean animals, worse even than dogs. By the way, this present year, about to end for the Chinese, has been the Year of the Dog. For Muslim sensitivities, the ignominy of enduring Chinese calendrical celebrations and images from this year to the coming one feels like jumping out of the frying pan and into the fire. Malaysia has a long history of attempting to remove pigs and dogs from the public sphere. In 1995 it banned the film Babe from cinemas. In 2016, there was public outcry over the word “dog” being used to describe sausages – leading to fast-food chain A&W’s Coney Dog being renamed the “Chicken Coney” at the order of religious authorities. In 2014, activist Syed Azmi Alhabshi was forced to seek police protection after receiving death threats for organising an “I Want to Touch a Dog” event to give Malay-Muslims an opportunity to connect with dog owners and pet canines. More recently, national carrier Malaysia Airlines’ in-flight magazine Going Places had to issue a public clarification after it was accused of publishing a photograph of a pork dish. Although the dish was actually Wagyu steak, the carrier apologised for any offence caused. Elsewhere in the world where Chinese communities intermix with other ethnic groups, they celebrate the Years of the Dog and Pig with complete freedom — neighboring communities often eagerly join the festivities. But wherever Islam dominates pockets of Chinese immigrants, Muslim sensitivities quash the freedoms of the Chinese when it come to New Year’s celebrations of the Dog and Pig. For Chinese Malay, the message is all too clear — anyone who goes “whole hog,” so to speak, in celebrating the Chinese New Year, will become Porcina Non Grata. This reality should give pause to all who propose “open borders” or the welcome of mass immigration from the Muslim world. Europe is already learning to its regret what large-scale Muslim immigration means for struggle to retain its formerly Christian and Enlightenment identity. The supremacist attitude inherent in Islamic thought means that practicing Muslims will never submit to long-term assimilation within a non-Muslim society. The ultimate goal is the ascendancy of Islam and the destruction of everything opposed to Islamic Shari’a law. Well, that could never happen here, you say. I’m sure that’s exactly what Christians in the Holy Land and throughout Levant thought when the Arab Muslim armies swarmed over their territories in 634-636. Or what the majority Coptic Christians of Egypt said in 640 when the Muslim invaders swept across their country. Or the rest of North Africa. Or the proud people of the Sassanid Empire of what is now Iraq. 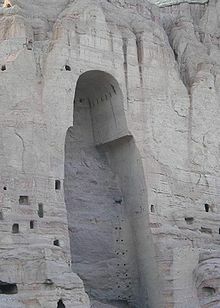 Or the Zoroastrians of Persia (now the modern-day Islamic Republic of Iran) and Afghanistan, as well as the Hindus, Buddhists and Christians of the Indus Valley. You get the point. Where are their descendants today? Absorbed within the Islamic empire or eradicated from history (which essentially amounts to the same thing). If you value your freedoms, lifestyle and belief system (whatever that may be), then beware the encroachment and growth of Islam in your midst. What begins as porcina non grata — limitations “voluntarily” imposed on you so as to avoid hurting Muslim sensitivities — will ultimately morph into persona non grata — as Muslim majorities take political power and dictate who may and who may not live unmolested under their undisputed rule.